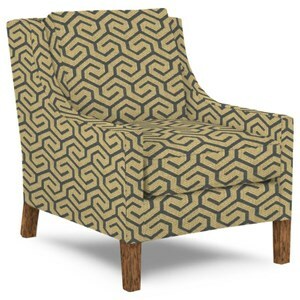 Showcase easy sophistication with this lounge chair. The chair's clean lines give it a refined silhouette, while custom fabric options let you make a statement with a bold pattern or keep the look chic and clean with a linen neutral. 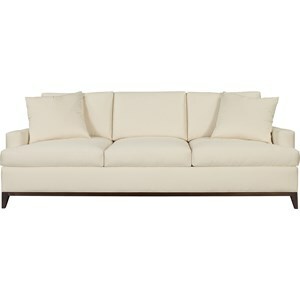 Clean lines and sloping track arms give this sofa a look of relaxed sophistication. The inviting, spacious design is perfect for your formal sitting area or living room, promising plush comfort, yet effortlessly refined. Put your own stamp on the sofa by choosing from hundreds of special order fabric options and tailored detailing. 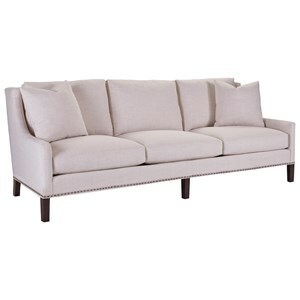 Highlighting clean, crisp lines, this sofa has an architectural form that speaks to sophisticated transitional style. The T-style spring down seat cushions promise comfort while keeping the look tailored. Customize the sofa by choosing from hundreds of fabric options, cushion upgrades, finishes, and nailhead options. Hickory Chair began almost a hundred years ago in Hickory, North Carolina with a single product and a simple vision. The product was a made-to-order dining chair. The vision was to combine the authenticity of classic craftsmanship with the efficiency of modern manufacturing. In the decades since, our product range has evolved into an assortment of timeless designs, drawn from significant periods and places, and from the talents of some of the world’s most respected designers. Our original vision, however, remains unchanged. Our company is still guided by a genuine commitment to custom craftsmanship and timely service. Our style is still distinguished by an authentic, timeless spirit. And our furniture is still made to order and made to last, by a team of talented and attentive artisans in our workshop in Hickory, North Carolina.